Estimates show that one in five people have had a mortgage application turned down as a result of bad credit. Factors such as divorce, illness, redundancy have resulted in people having credit problems at no fault of their own. There are various reasons why people are not categorised as standard borrowers and do have a great credit rating. For example, they have no credit history, not being registered on the electoral roll, moving numerous times in a short space of time can affect your credit rating. Some high street lenders will consider clients with minor credit problems such as a settled £100 county court judgment. We will always make sure we have considered the high street lenders before we look at adverse credit lenders. Mortgage lenders will charge higher interest rates and may be less flexible when lending to people who have bad credit because they are a bigger risk than a standard mortgage borrower. You should not apply for a mortgage to see if you get turned down because this goes down as a black mark on your credit report. Before you apply for a mortgage you can look at your credit record, you can order it online, telephone or have it posted from agencies such as Experian or Equifax. Credit Expert Offer a free credit report and they then charge for a credit score. It is worth obtaining a credit score as it will let you know in a simple way how good your credit is and will let you know if there is room for improvement. It is worth knowing what your credit report /score is before we start looking at lenders. Once we know this we are able to filter the lenders that will potentially suit you. Your credit score will also affect the amount of money that you can potentially borrow. So if you know that you definitely have some sort of adverse credit it is worth talking to us before you look at applying for a lender. It is important to contact a mortgage advisor so they can explain the credit problems to you, they will also know what lenders to approach, ones that will consider the application. They will make sure that all the paper work is correct to ensure that no more black marks are put on your record. 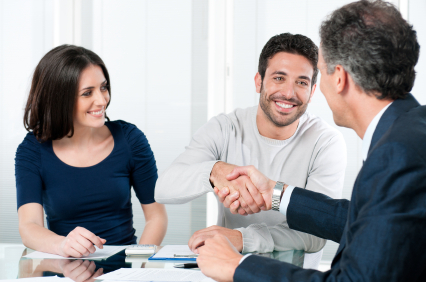 An adverse credit borrower may need an advisor who will be able to find the most suitable mortgage provider for you. A lot of adverse credit lenders do not deal directly with the public, an advisor will be able to apply on your behalf. If you have any of the following we still may be able to help find you a suitable mortgage. If you are a considering a single application but are currently living in a property with somebody else who has a bad credit history, this can sometimes also effect your credit rating especially if it is your spouse. Again this is a situation that needs to be managed in the correct manner and explained to lenders. The benefit of using us is that we can talk to the underwriters and get an insight into what is required before you actually put the application in the lender. We will never put an application into a lender until we are satisfied that you stand a very good chance of obtaining a mortgage with that lender. This requires us to understand your situation in detail which will require us to know all of your details, credit report status and history so that we can create a clear picture to be able to talk to the lenders about. All of this is very worth while and saves time on our part and your part because we will have an idea of what the lender will require before we even apply for the mortgage. Complete our short form in the right hand panel and an independant mortgage advisor will contact you to look into every avenue to find you the right mortgage. Once you have a mortgage this will start to repair your credit rating.